Credit card decline rates are typically in excess of 10% with many businesses experiencing 15%+. In the ACH world that decline rate is typically sub 2%. You can see why-how often do you change your bank account versus how often you receive a new credit card? So what do you want from a Recurring ACH API? Assuming the API supports data tokenization, a clear advantage to utilizing an Recurring ACH API is that sensitive bank checking and savings account data is never stored within the SaaS application or it's servers. Instead, the application can communicate with the gateway in real-time to post bank data and be returned a reference token to be stored for future use. This eliminates the potential for theft of sensitive data. While NACHA doesn't currently mandate PCI requirements for ACH transactions, most any ACH gateway that also supports credit card transactions will be PCI level one certified. Why risk theft of merchant customer's bank account data when you don't have to? Data can be delivered as soon as the gateway receives it from the RDFI banks instead of waiting for a cron delivered file. Because the SaaS application is integrated via the recurring payments API, this data can be automatically posted and reconciled. 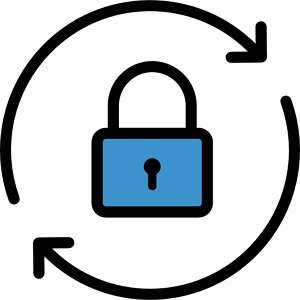 In addition, notifications can be triggered depending on the type of notification delivered. For example, a settled ACH transaction post can trigger a message to customers or internal personnel of the event. Non sufficient funds messages delivered to the application can trigger a series of NSF re-presentment tries and, subsequent to a successful recovery, can trigger an NSF fee debit transaction to be originated. Any organization that utilizes a software application and has a need for transmitting ACH transactions should further investigate ACH Integration and the advantages of integrating to a Recurring ACH API.